Is the Hobie Outback right for you? Our buyers guide can help you make the right choice. My first Hobie kayak was an Outback in 2004. What a kayak it was! 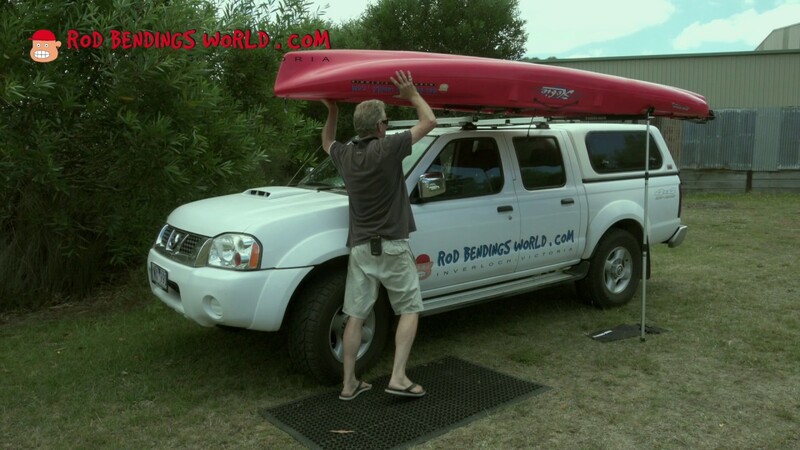 Stable, comfortable and a great all round fishing kayak. Well designed hull with the deeper keel line, flatter cockpit and the adjustable CT Seat makes it a breeze to stand. Pack your gear and just add fish! Now for 2019, the redesigned Outback is so feature rich for fishing. Let's go through the up grades for 2019. The hull length has increased to 12'9" with a sleeker bow shape. The Outback will travel faster through the water and will handle the wind chop in light offshore conditions. The hull width has been increase by 1" which doesn't seem like much but combined with the thinner gunnels and recessed tracks, H-Rails and the redesigned oblong centre hatch, there is a much larger deck for standing and casting. The Ct Seat has also been increased in width to give greater comfort. The 2019 Outback now comes standard with Turbo Fins for extra performance. 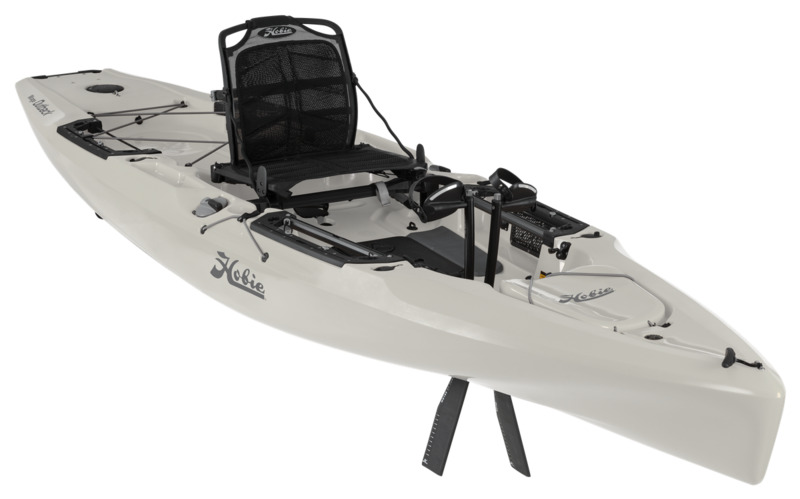 The kick-up rudder system is now similar to the Pro Angler Series of kayaks and creates a tighter turning circle. Also duel steering handles have been added. Multiple H-Tracks and H-Rails allow for greater flexibility of your fishing set up along with bungees to secure your gear. The Lowrance Ready System for fish finder installation has the Guardian Transducer Shield for the larger transducers for Total Scan and Side Scan transducers. This retractable system keeps your transducer out of harms way when launching and retrieving your kayak. The rear cargo area is wider and will fit the larger soft bags, H-Crates and Eskys. Considering all these extra features, the 2019 Outback is only 2 kgs heavier than the 2018 model. 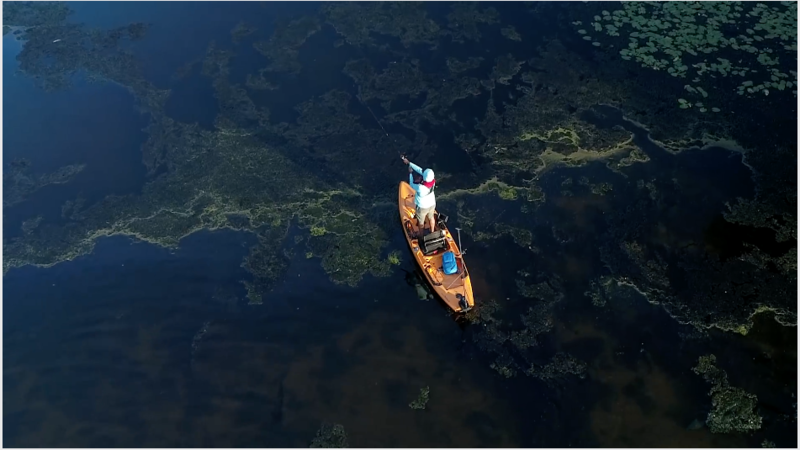 Hobie have once again set the benchmark for Kayak Anglers. 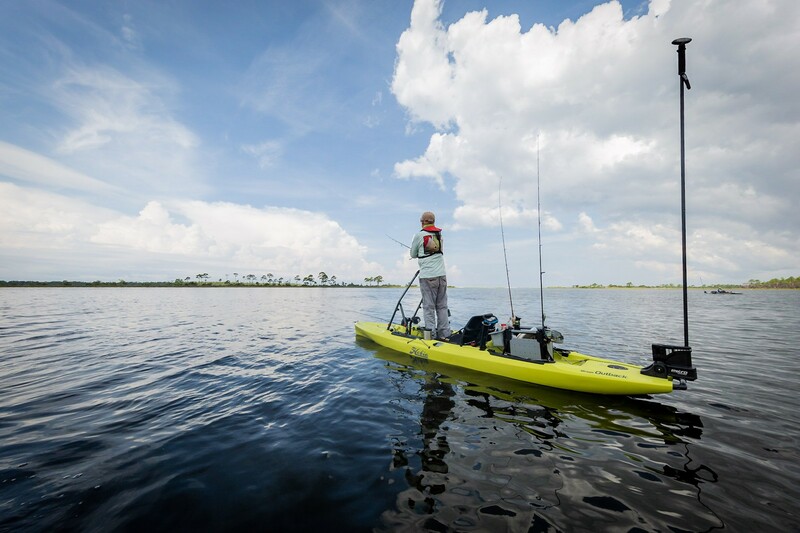 The Hobie Kayak is a popular kayak in the Hobie range. Stripped down the kayak weighing 81 lbs / 37 kg. It's relatively easy to car top using the side loader a shown in this video. Our on water test drive days are done on Andersons Inlet, Inverloch. Click the button below to book your Hobie Outback test drive today.